There are many different ways neck pain can affect your way of life. Spinal Correction Center offers treatment options to help with several different forms of neck pain. Give us a call today and find out how we can alleviate neck pain in Richmond, VA.
"Dr. Mulvaney cured my whiplash through a focused treatment plan. When I first came to him I could not even turn my head due to neck pain from being rear-ended. Several years later and I'm still symptom-free... Thanks guys!" ​​If you are experiencing any of the symptoms above it is likely that you are dealing with neck pain that needs treatment. Spinal Correction Center is the premier chiropractor in Richmond and the surrounding areas to help relieve neck pain. ​If you are dealing with neck pain, you know how it can negatively affect your everyday life. Neck pain can restrict your range of motion and stop you from doing the things you love to do in life. Simple things that you are used to doing every single day can become a struggle. Look no further, we're here to help end your neck pain for good. Using the latest treatment solutions, we treat your neck pain properly to get you back to your favorite activities. Poor posture is one of the main causes of neck pain. Incorrect sleeping positions or slouching over a computer desk for hours can lead to a stiff neck. You should seek professional help when your neck pain starts to affect your everyday activities. If you experience neck pain for something as simple as rotating your head over your shoulder or while sleeping then it is recommended you see a professional. Without treatment, bad neck pain can worsen. Neck pain can be caused by a misalignment in your spine, which puts excessive pressure on sounding muscles, nerves and ligaments. We use the latest advancements in treatments to cure symptoms and end neck pain for our patients. If not treated timely and properly, neck pain caused by whiplash could become chronic. Dr. Mulvaney will sit down with you to explain the step-by-step process. He will explain the different treatments that will help relieve the pain. Our chiropractic services will re-align your spine to its proper position so you can regain mobility. If you think you have experienced whiplash, give us a call to schedule your examination and treatment. We look forward to helping you get back to your daily routine without pain. Dr. Mulvaney has helped patients get rid of their pain using gentle, non-surgical treatments for more than 15 years. ​We provide premier neck pain treatment to our Richmond community. 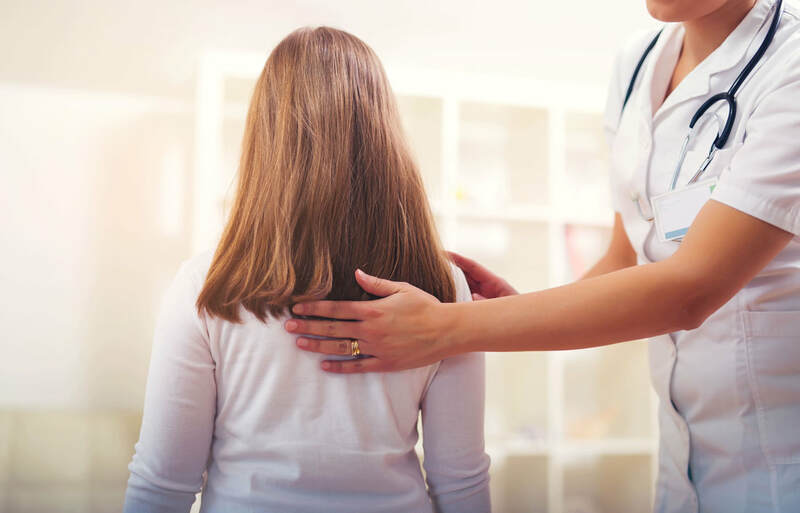 Our chiropractors perform a thorough chiropractic exam to determine the cause of your pain so we can issue the best treatment available for you. We take the time to learn your health history, determine any events that lead to your neck pain, and properly treat your neck pain with the latest chiropractic treatments. We use a number of treatments to cure neck pain, including physical therapy, stretches, exercises, and chiropractic manipulation. ​Even if you have seen a chiropractor in the past with no results, give our experienced chiropractors a visit to find out if your previous chiropractor missed something. We'll provide a thorough chiropractic consultation with treatment plans for your specific pain. In certain cases, untreated neck pain can go from a minor condition to a serious lifelong issue. Visit Spinal Correction Center and Dr. Mulvaney will help you heal your body so you can alleviate the pain for good. Choosing the experts at Spinal Correction Center to treat your neck pain means you'll receive the finest chiropractic care. We understand your neck is a large foundation for everyday movements and know how much it can affect your range of motion. Leave it to Dr. Mulvaney and his team of professionals to provide you the pain-relieving treatments you desire, avoiding pain-killers and surgery. You can live a pain-free life and get back to doing everything you love to do. Give us a call to learn how soon your pain may go away. A chiropractic consultation is all it takes to learn all options available to you. Call us today and we'll help you get back to recovery as soon as possible.